Don’t have any gutters on your home? Each home is different and can require a unique solution when it comes to installing rain gutters on a home. Varying aspects of the home’s roof line, pitch, overhang, fascia, valleys, and other aspects can drastically change solutions for a home with no gutters. It was not uncommon at one time for homes to be built on purpose not to have gutters. Homes built with large overhangs from many decades ago typically were built with ornate rafter tails with gutters specifically designed not to be installed on the home. In the scope of the changing weather events, increased recorded rainfalls, and volatility of the rainstorms many are experiencing today, not having gutters is something a majority of home owners are choosing to solve. 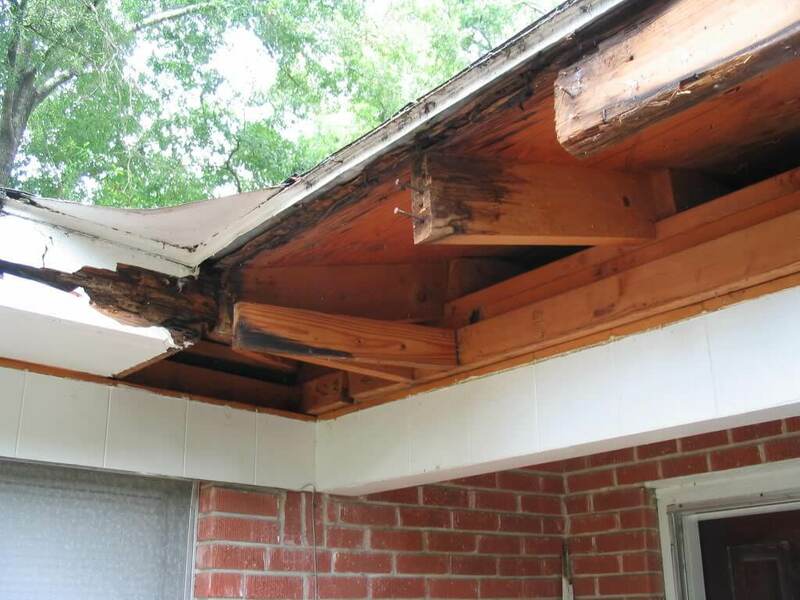 Presented here are just a few examples of pictures from damage caused by improper rain gutter solutions or choosing no gutter. 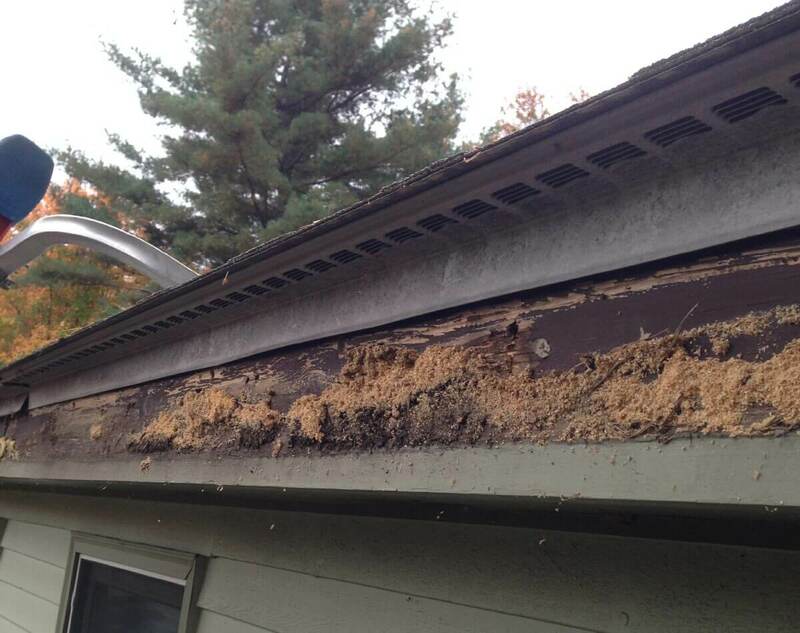 Not having gutters can cause serious damage to your home. The garage door damaged pictured here is a direct result of not having a rain gutter system. 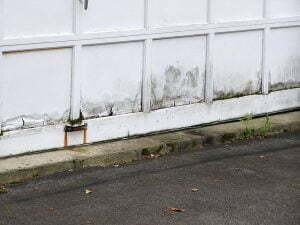 Over time, the water dripping from the roof splashes on the ground keeping the door wet eventually causing rot. To replace this garage door cost just over $2,000.00. The price of a gutter over the garage door with a downspout cost only $150.00. 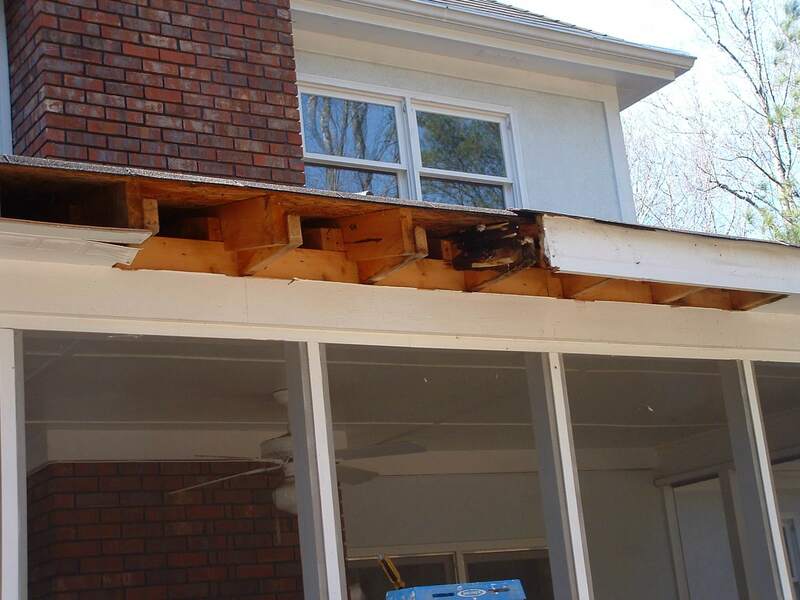 The most damaged areas of a home as a result of not having gutters are decks, garage doors, door frames, window frames, foundations, basements, sidewalks, driveways, landscape, siding, fascia and more. Most homes have standard 5” gutters installed. In some cases it is necessary to install 6” oversized gutters on some homes, or as seen in the picture here, just portions of a home. Below is a way for you to determine whether you will need standard 5” gutters or the 6” oversized gutters. The Solution! Have seamless gutters installed. By installing seamless gutters of either 5″ or 6″ size, we can divert the water from your roof line to areas of your home where the water will not cause damage or dangerous ice patches in the winter. Roof lines with tremendous amounts of water concentrating to a small portion of gutter.